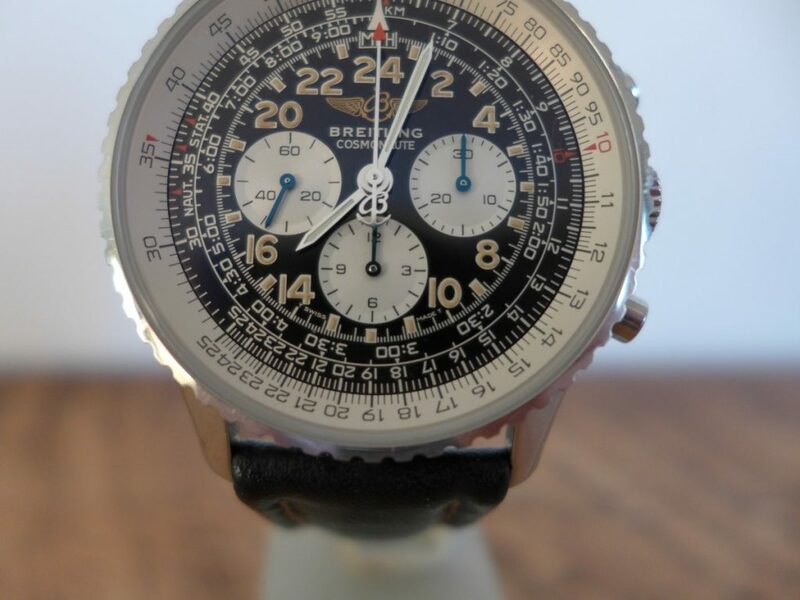 Breitling Cosmonaut A12023.1 Chronograph 24 Hour special series, this is a discontinued model from 1990,s stunning piece if you can get used to 24 hour time. 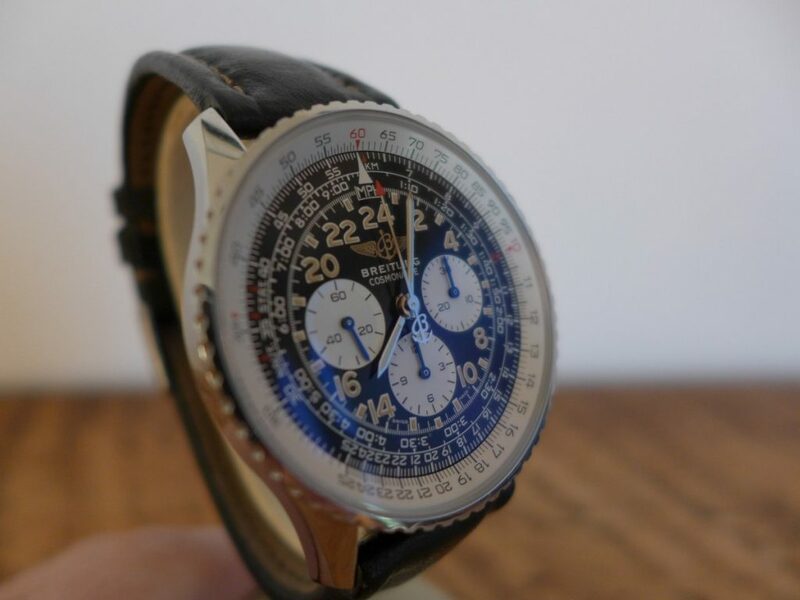 The watch has a manual wind movement Breitling Calibre 12 which is a Lemania movement uses 17 or 18 jewels as there is 2 versions. 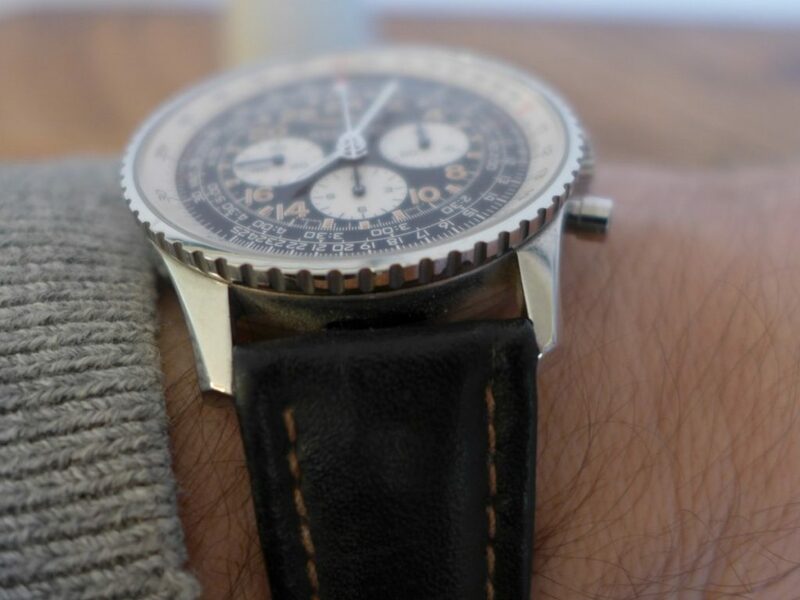 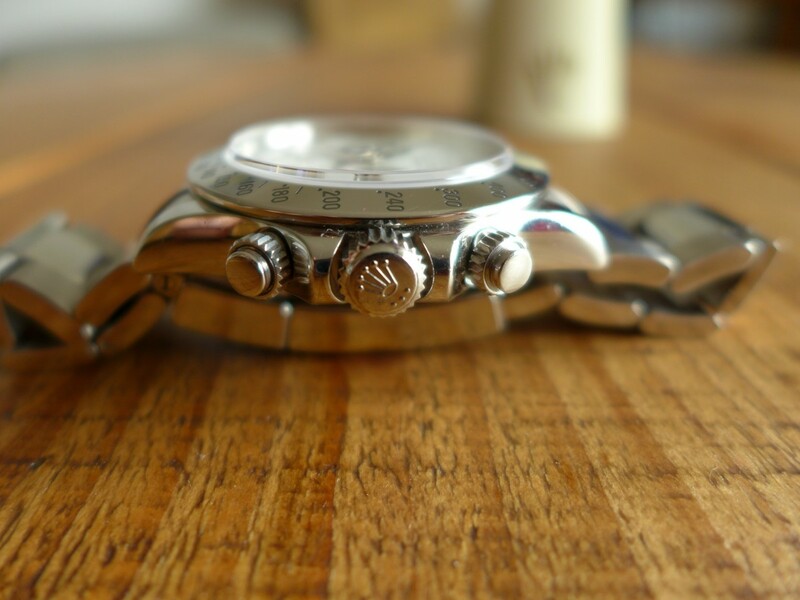 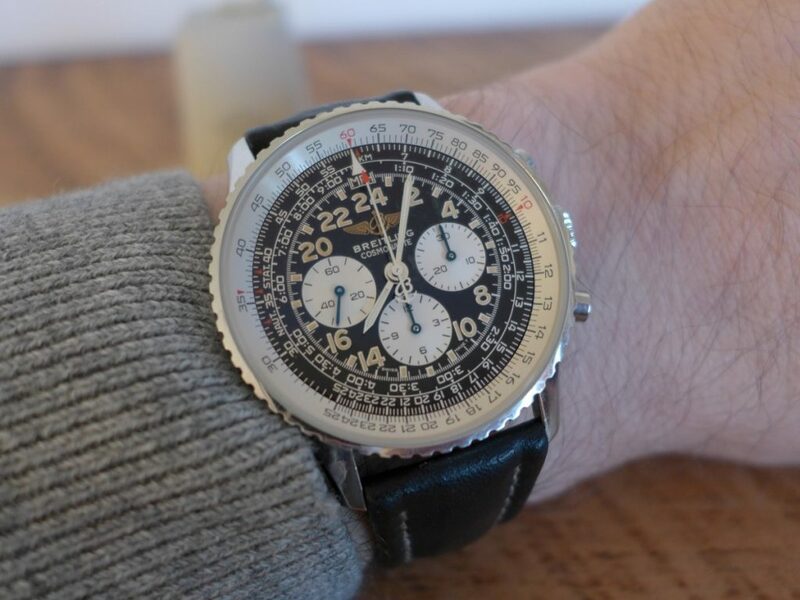 The watch looks like a navitimer but slightly smaller at 40mm and was made in very small numbers possibly around 3000. 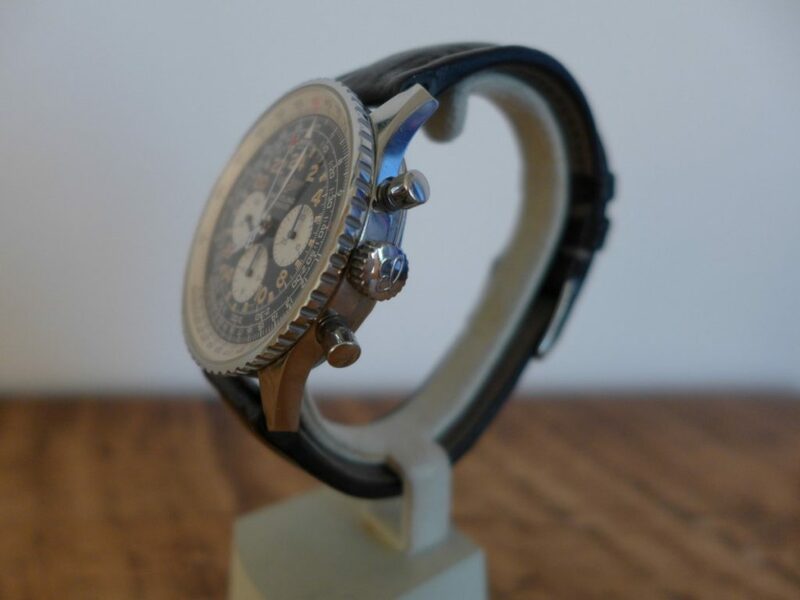 The watch has a see through caseback with engraving Cosmonaute Série Spéciale Étanche 30 M , as well as the reference number and the serial number, which is 4 digits long very short serial for a breitling. 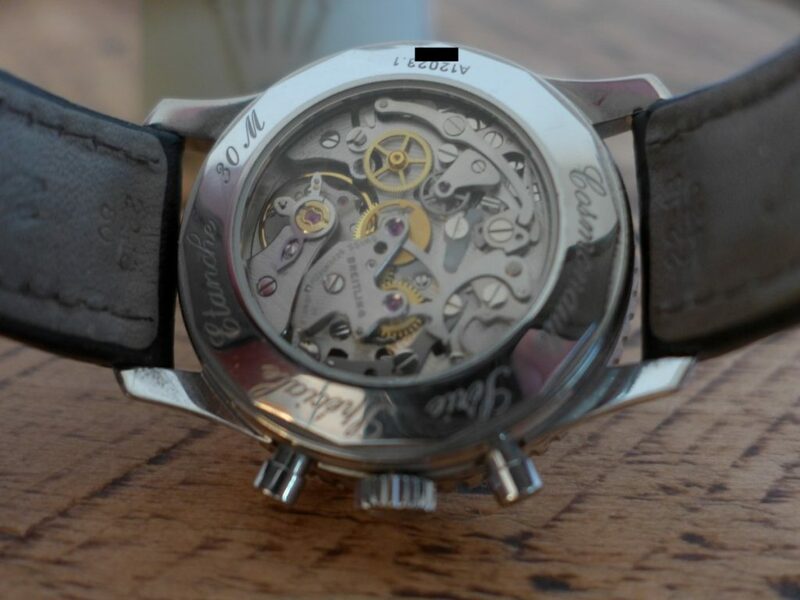 The dial is black with silver sub dials and tritium markers with blue hands no date function unfortunately. 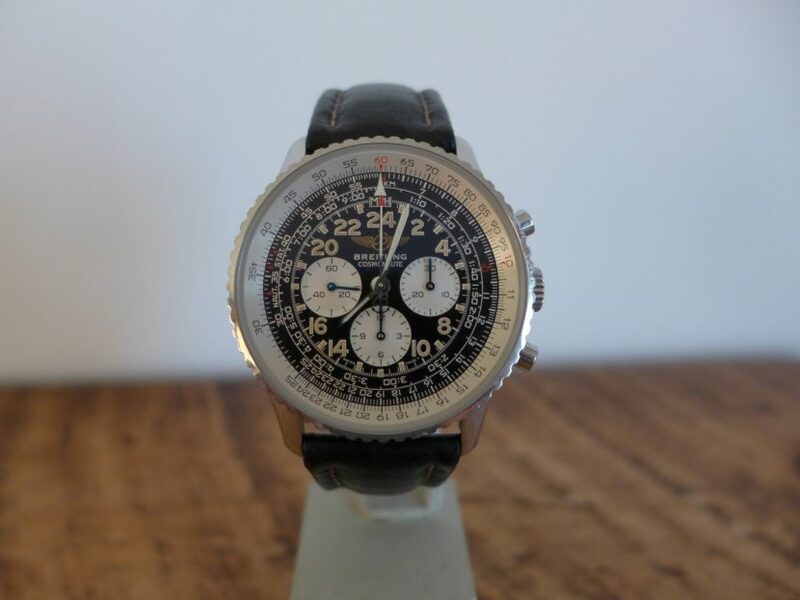 Overhaul a cracking piece but not easy to actually tell the time but sure to be a future collectors piece.